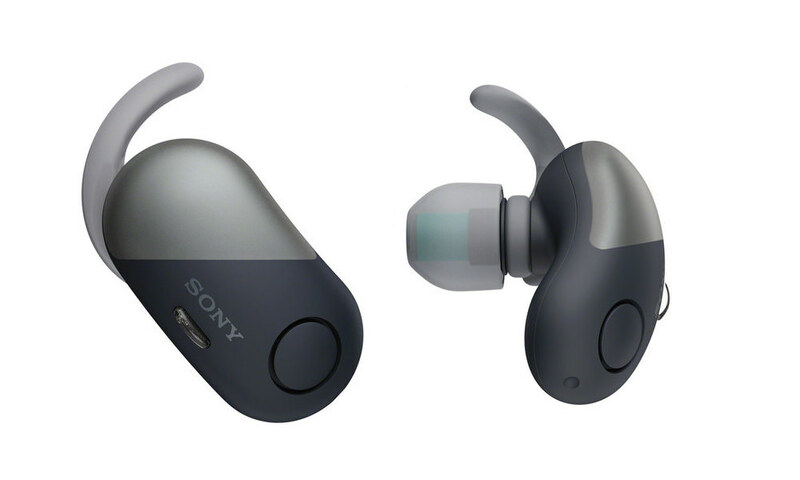 At CES 2018, Sony Electronics announced three new sports wireless headphones for the active, stylish music lover that come in earbud style or around-the-neck options and four colors. The top-of-the-line WF-SP700N truly wireless earbuds, along with the WI-SP600N around-the-neck earphones both include noise cancellation to block distracting noise around you. In addition, they’ll both integrate with Google Assistant for voice commands, after a future software update. The least expensive model, the WI-SP500 in-ear headphones are also around-the-neck and include Bluetooth wireless, but drop noise cancelling and the ability to work with Google Assistant. They’re all due out spring 2018 priced from $80 to $180, and could be a viable alternative to Apple AirPods, especially for Android smartphone owners. Very important when it comes to sports, truly wireless headphones mean you are free to do whatever activities you wish, without the worry of your headphones getting in the way. In addition to great sound, the world’s first truly wireless splash-proof WF-SP700N headphones combine two features great for working out: digital noise cancelling technology and a splash-proof design. The WF-SP700N comes with a compact one-touch-open charging case and benefits from approximately three hours of battery life plus two additional charges from its case for nine hours in total. 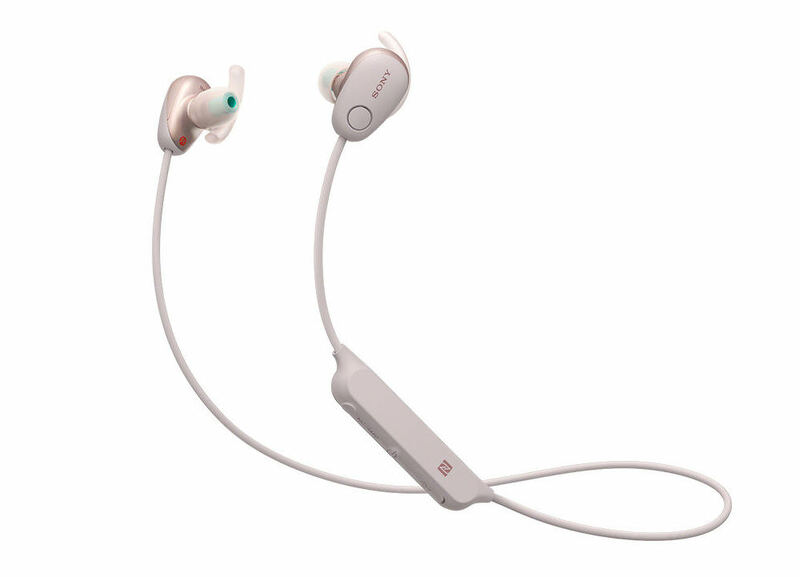 The around-the-neck wireless Sony WI-SP600N include the same digital noise cancelling and sound quality technology, plus the same level IPX4 water resistance rating. With this pair, you can keep listening for up to six hours. While the compact earpieces are connected by a discrete band behind the neck, it has arc supporters which are based on the ergonomics of the ear to provide flexibility and moderate pressure to ensure they are a secure fit. Noise cancelling technology in the WF-SP700N truly wireless and WI-SP600N in-ear headphones lets you concentrate on your training in the noisy environment of the gym – even with machines banging and people talking. On the other hand, if you’re doing sports outside turn on the ambient sound mode so that you can be aware of the surrounding sounds. Along with noise cancelling these headphones feature Sony’s EXTRA BASS sound, giving your music a deep punchy bass. With an IPX4 rating all of these headphones are splash-proof and can be worn in the rain or sweat upon without being damaged. Designed to fit with arc supporters securely in your ears no matter what activity you are doing, this pair has been carefully developed to provide the most stability. They are available in four colors including pink, yellow, black and white, which have been picked to complement your active wear outfit, and keep up with the trend of wearing sports and leisure clothes outside of the gym. 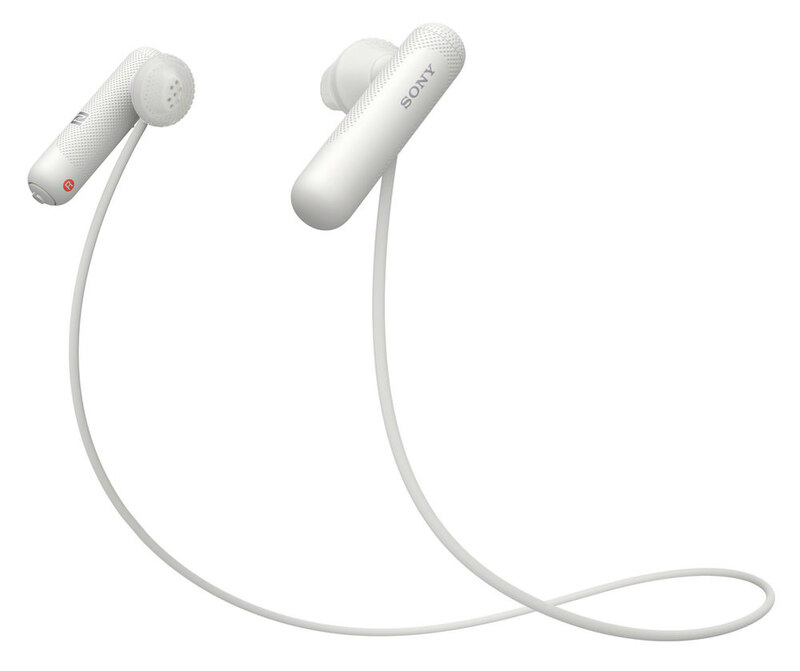 For a lot less money the Sony WI-SP500 around-the-neck style wireless earphones don’t have noise cancelling. However, of the three, they have the longest battery life at eight hours. 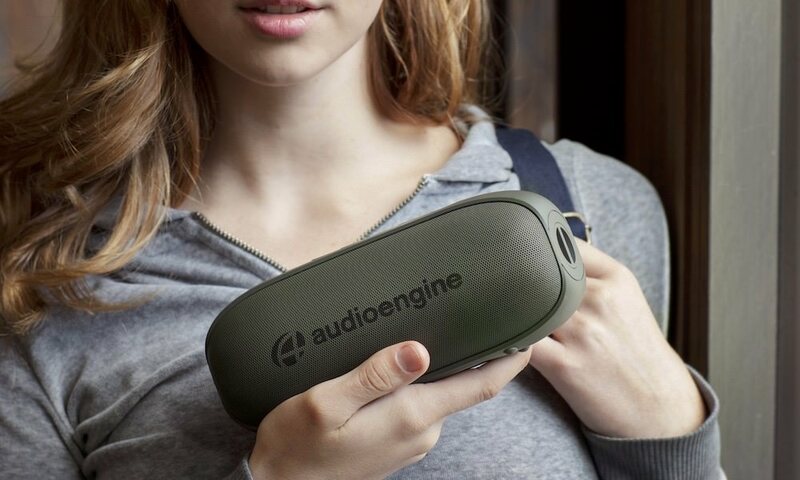 Each of these headphones have NFC one-touch connection with the case and are compatible with the Sony | Headphones Connect app which now features Quick Sound Settings so you can recall your favorite settings of equalizer and ambient sound control as you adjust with two taps of the headphones button. Sony’s Noise Cancelling headphones will be optimized for the Google Assistant with an update. Owners can ask questions to get things done, listen to music, hear your incoming messages, make calls and more. The headphones that will be optimized for the Google Assistant are models: WH-1000XM2, WI-1000X, WF-1000X, WF-SP700N, WI-SP600N, WH-CH700N, WH-H900N. 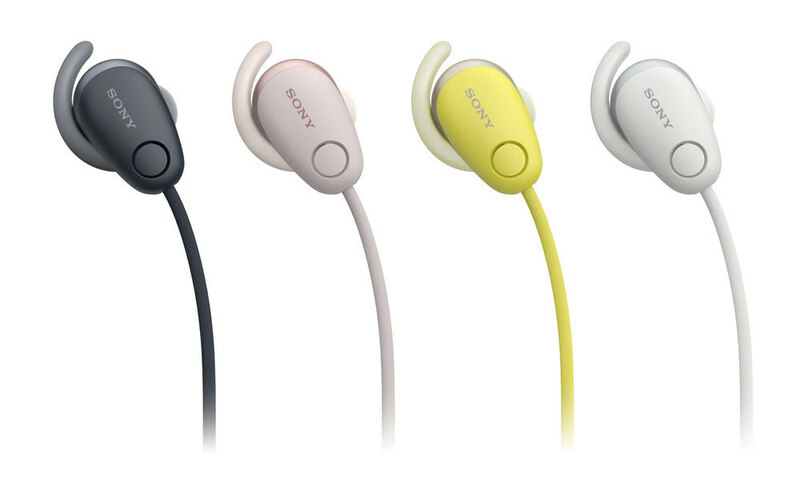 Sony’s new wireless in-ear headphones will be available Spring 2018 in four colors: black, pink, yellow, white.